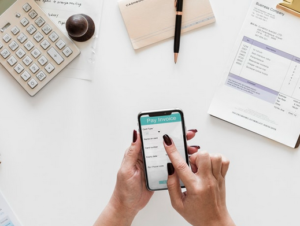 In the age of technology, we’ve all become pretty accustomed to buying whatever it is that we want or need just by tapping your finger on a screen. From clothing to accessories for your home, and even groceries or a car service, you can get virtually anything you want in an instance. Since we’re so used to getting so many things instantaneously, when it comes to purchasing a life insurance policy, the process can seem super long and drawn out. You have to fill out a ton of paperwork and provide detailed answers to a bunch of questions. You also have to go through a medical examination, have a blood test and/or provide a urine specimen. After doing all of that, you then have to wait a month or two – or even three! – in order to find out if you’re approved and actually get coverage. However, the process of purchasing a life insurance policy is definitely changing. There are several companies that are now offering instant approvals for term life insurance coverage. You don’t have to go through that long, drawn out process, or even have a medical exam! Talk about easy! You locate a reputable company that offers instant coverage (just enter “instant life insurance coverage” or a similar search term into your web browser). Some Examples are Haven Life, Ladder, and SoFi. Input some general information, such as your gender and zip code. You’ll receive a variety of quotes for life insurance policies. Once you find a quote that you are interested in, click on it. Input some information about your health. You’ll provide the insurance company with permission and they’ll retrieve details about your background from databases. For example, the company can access a medication database to find out what types of medications you have taken, which can provide them with information about your health. Or, they can access a Department of Motor Vehicles database to find out details about your driving record. Once the company retrieves your information, they will let you know if you have been approved or denied. If you are approved, your coverage will begin immediately. There are several benefits to purchasing instant life insurance coverage. For one thing, you don’t have to wait around to find out if you’re approved or denied. You will find out immediately if your policy was approved. If it is, your coverage will begin as soon as you accept it. Another benefit of instant life insurance coverage is that you don’t have to go through a big ordeal. Unlike the traditional method of applying for a policy, where you have to meet with a representative from a provider, fill out long forms, have a medical exam, and provide a urine sample and/or have blood drawn, you’ll just input information into the database. The company will then use your information to access a variety of databases in order to collect information about your health and history. In other words, they do all of the leg work for you. Who Is Instant Life Insurance Coverage For? Anyone can decide to apply for instant life insurance coverage; however, it’s important to note that these policies are generally intended for younger people who are in relatively good health. If you’re older or you have health conditions, you may not be approved; however, that’s not to say that you can’t get instant coverage. If you do have a few medical issues and they aren’t major, the carrier will likely request a medical examination. Depending on the insurance provider, your coverage may immediately go into effect once you’re approved, but the final price of your policy will be determined once they receive the results of your medical examination; but, with other companies, you might have to wait until they receive the results of your physical examination for your coverage to go into effect. While not strictly “instant”, there are other ways to get a life insurance policy issued quickly. One way is to choose a “guaranteed issue” policy. This type of policy generally can not deny coverage to any insured person regardless of health (there may be some qualifiers, but this is rare). These types of policies are issued very quickly, and coverage may actually be binding instantly. The downside to a guaranteed issue policy is that usually the policy does not provide any death benefit if the death occurs during the first two years after the policy is issued, and they are usually very expensive. You don’t really want to pursue this type of life insurance unless your health requires it. Another thing to keep in mind is that life insurance coverage can be binding as soon as you submit the application, if you make a premium payment along with it. Life insurance companies are required to put the policy through the normal underwriting process, regardless of whether or not death occurs during the underwriting period. So, unless your coverage would have been denied, you are covered instantly in a traditional life insurance transaction. Keep in mind that it is necessary to submit your first premium payment along with the application. And don’t worry, if your coverage is denied, or if you choose not to accept the policy, you are due a full refund from the life insurance company by law. Why Get Instant Life Insurance Coverage? The main reason to apply for instant life insurance coverage is obvious; your coverage will go into effect immediately upon approval (in most cases). This could be an ideal solution for people who don’t want to wait a long time for their coverage to be effective, or for individuals who aren’t interested in a long, drawn-out process. It could also be a great option for someone who is going to have a major milestone coming up in the near future; the birth of a child or a big trip, for example. Instant life insurance simplifies the process of getting life insurance coverage. There aren’t any long waiting periods, and, as the name suggests, you’ll have coverage instantly! To see if you qualify for instant coverage, scroll back up to the top of this page and enter your zip code. After answering a few brief questions, you’ll be connected to the top life insurance companies in your locale.